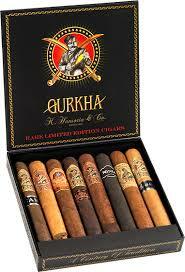 This limited edition sampler includes 8 assorted 6.00 inch by 60 ring gauge premium Gurkha cigars. 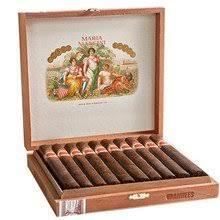 Contains 1 of each of the following: Gurkha Assassin XO Maduro, Gurkha Beast XO, Limited Natural Gurkha Beauty XO, Limited Natural Gurkha Evil XO Maduro, Gurkha Ninja XO Maduro, Gurkha Vintage Shaggy XO, Natural Gurkha Seduction XO, and one Gurkha Vintage Shaggy XO Maduro. 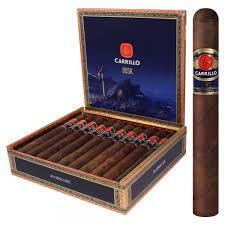 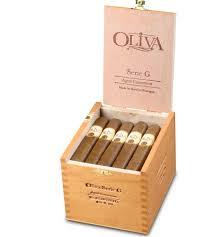 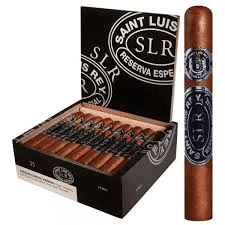 Excellent cigars at an excellent price.